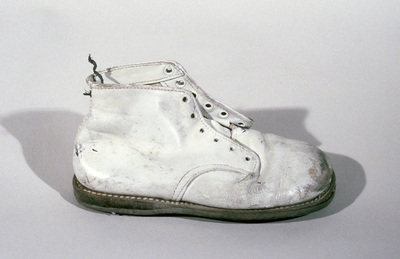 In 1979, Laurie McDonald wrote a series of stories entitled Highway Shoes. 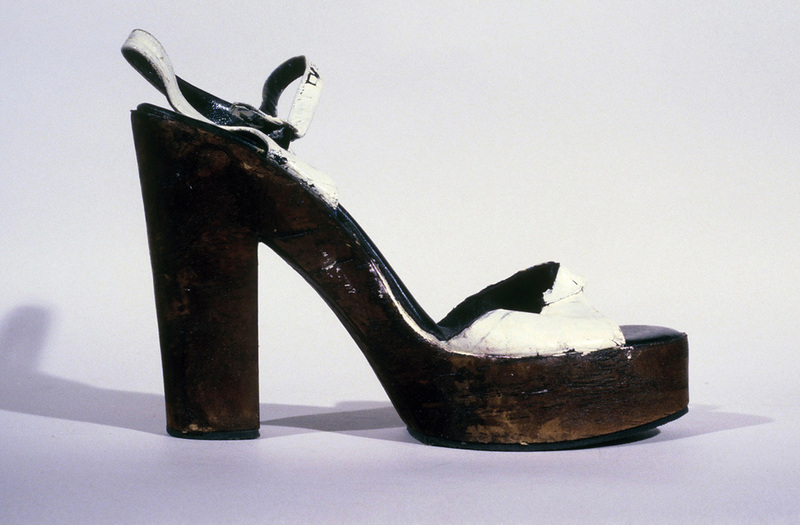 If she hadn't lived in Providence, Rhode Island, where single shoes could be found along Interstate 95, discarded in alarming quantities, this collection of stories would have never found their inspiration. After driving that stretch of road many times, the obvious question loomed large. Why were they there? 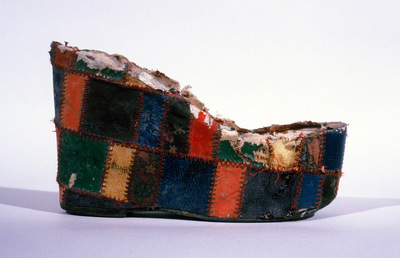 For six months, she collected every shoe she saw on the stretch of I-95 that meandered from Pawtucket, Rhode Island south to Warwick. Platform shoes, golf shoes, baby shoes, ice skates, work shoes, nurse shoes, tap shoes; single-handedly she harvested hundreds of shoes to classify, study, analyze, and to contemplate. 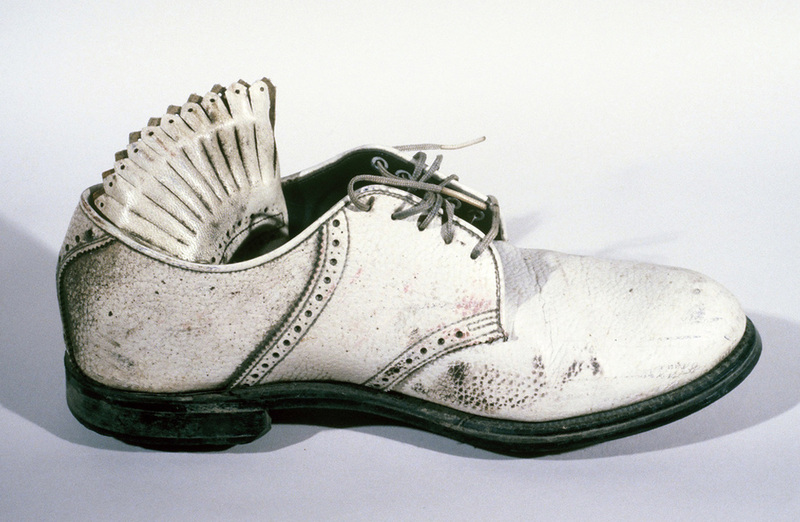 Out of all those shoes, she discovered that tennis shoes were the most commonly discarded footwear and the majority of abandoned shoes were left-footed. 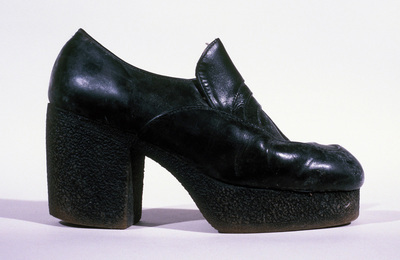 Her shoes were exhibited at the Rhode Island School of Design Museum and featured on local TV, but to this day, the honor she cherishes most is the declaration presented to her by Mayor Buddy Cianci of Providence and the Rhode Island Highway Department, officially commemorating her birthday (July 29th) as Highway Shoe Day. To them, she was cleaning up shoe debris -- one of the many things that contributed to Rhode Island’s bad reputation among highway travelers. 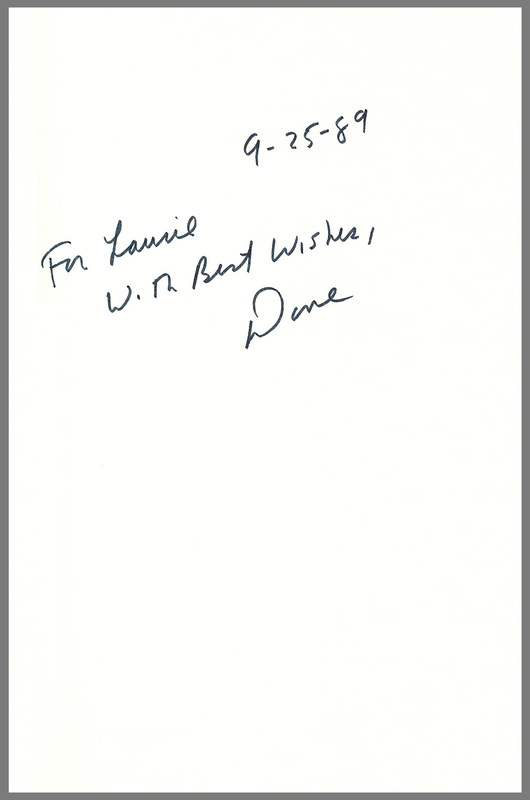 To her, it was important anthropological and psycho-analytic research. Sunday mornings were prime time for shoe-collecting. 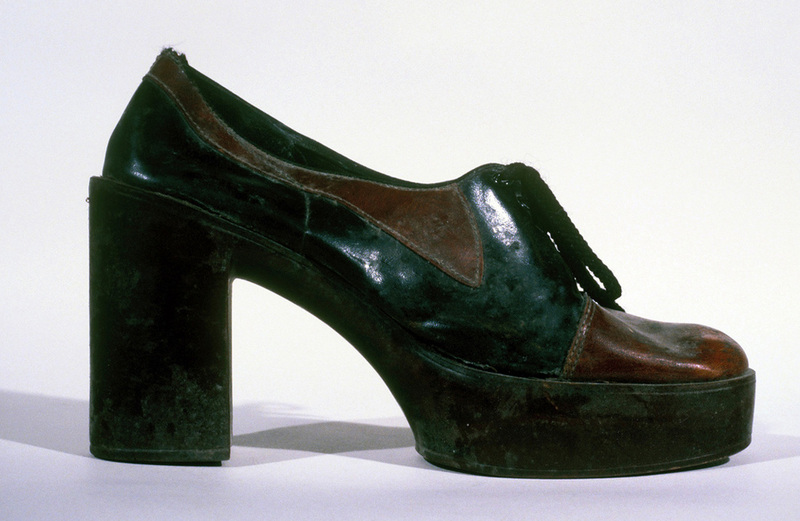 She began to contemplate the conditions that may have existed before the shoes left the owners' feet and ultimately the cars, and her collection of stories became a kind of folk lore illuminating the cultural conditions of Southern New England in 1979. 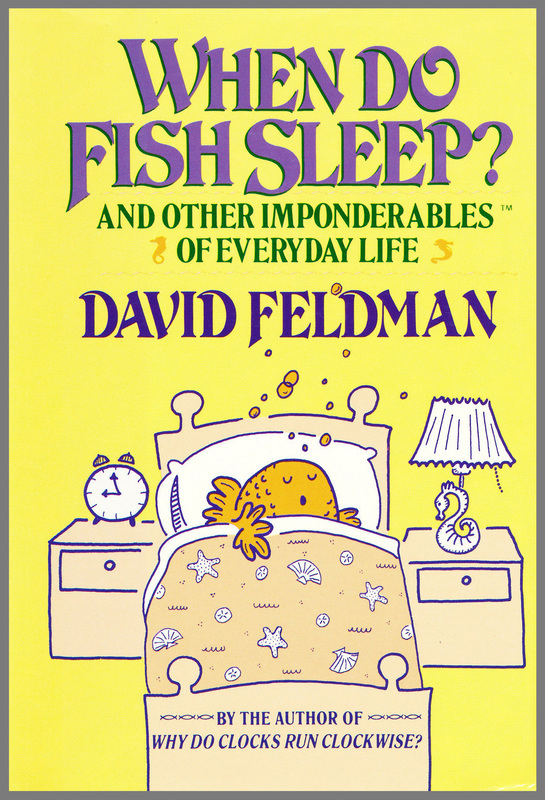 David Feldman, the author of When Do Fish Sleep?, apparently thought so, too, when he awarded the project the Margaret Mead Field Research Award and donated a free copy of his book to the cause. In recognition of his life-long quest for universal symbols and actions of mankind, Laurie's Highway Shoes stories are dedicated to Carl Gustav Jung, and for her "Beautify America" campaign, to Lady Bird Johnson. 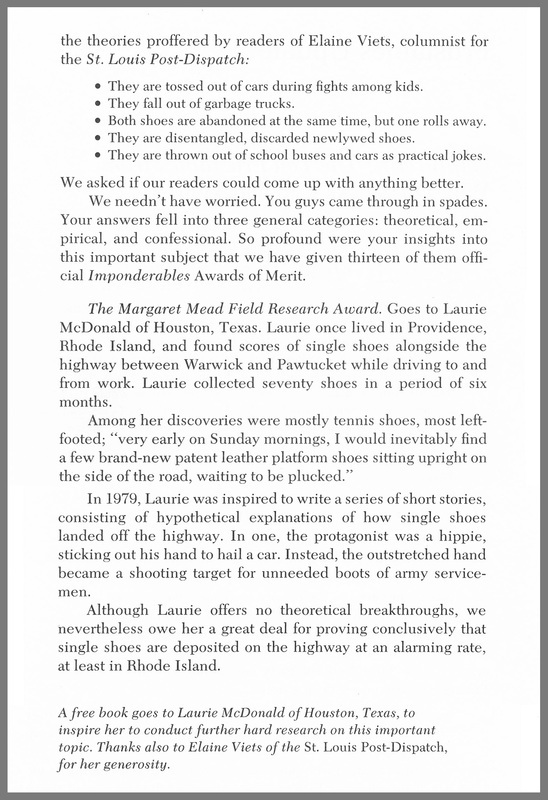 From Laurie's collection of Highway Shoe Stories, the following four narratives work backward from the endings the reader already knows, speculating on the causes of shoe parting from foot. A group of high school students were taking a mid-winter ski vacation in New Mexico, and they were on their way by bus to the mountains. The summer before, a new bridge had been built spanning the immense Rio Grande gorge. The gorge was a huge, jagged slit that divided the flat desert at the base of the mountains into halves. The bus driver stopped at the request of the chaperone so that the kids could take a look down into the gorge from the bridge. The view was awesome in the true sense of the word. It was hard to imagine that the thin trickle of water at the bottom of the gorge was once a powerful, raging river. Becky and Evelyne stood at the railing staring into the gorge. Becky's right foot hung halfway over the edge of the bridge. Whenever a car drove over the bridge, the fierce vibrations and the sudden gust of wind caused the high school students to scream. "If you stare long enough into the gorge without blinking, after a while you think you're looking at a wall instead of looking down," Evelyne observed. And after a pause, she suggested, "let's throw some rocks in and see how many seconds they take to hit bottom." Evelyne and Becky threw rocks of all sizes into the gorge. They each took about ten seconds to hit. "Hey, what if your clog fell into the gorge?" Evelyne teased. 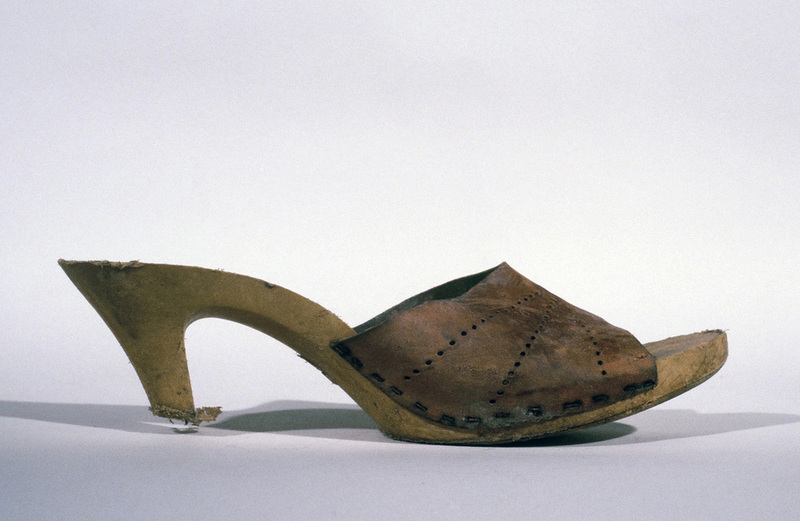 As if responding to Evelyne's suggestion, Becky's right clog slipped off. They were so stunned that they forgot to count the seconds before it hit. The chaperone called to the students to re-board the bus. "What are you going to do?" implored Evelyne. Becky's slipped her left foot out of the other clog. "What good is it to me now?" she replied, philosophically, as they ran back to the bus. You know that chopper that has "The Flying Duffer" painted on it? That's me. That's my television name. The Flying Duffer is about this guy (me) who flies in a helicopter from golf course to golf course, lands, butts in on somebody's game, and plays a couple of holes with them. Then I disappear back into the helicopter and take off for another golf course. All this gimmickry is for the TV cameras, and nobody has ever refused to include me in their game once they see the camera crew. Well one time the director of the show wanted a shot of the golf course from the helicopter as we were making our getaway, and the chopper was really only a two-seater and there were three of us all squeezed in together. It was the pilot, then me, then the cameraman who was next to the door, or where the door should have been. The doors had been removed that day so the cameraman wouldn't have to shoot through plastic. Well before I got into the chopper, I had loosened up my shoes because they were brand-new and giving me blisters. Me and the cameraman had to buckle ourselves in together with the same seat belt, and man, that guy was obnoxious. He was yelling directions to the pilot right across my face like I wasn't even there so he could get the shots he wanted. Between him and the racket the chopper was making and the wind and the heat I had a colossal headache and could've pushed that guy out if he hadn't been strapped in along with me. Who did he think he was dealing with, anyway? Well the cameraman wanted some fancy angle so he yelled at the pilot to turn left and I guess the pilot didn't hear him the first time because the cameraman got really mad and yelled it again and the pilot turned left so sharply that my right shoe I had slipped off my blistered heel went tumbling out of the chopper and landed somewhere on the highway below. Brand-new! I was so angry at that cameraman that I grabbed his $50 Pebble Beach ball cap, threw it out of the helicopter, and watched it float down to the highway to keep my shoe company. Baby’s second pair of shoes were tied together and hung from the rear view mirror of the Volkswagen, a typical gesture of boastful and proud parents. 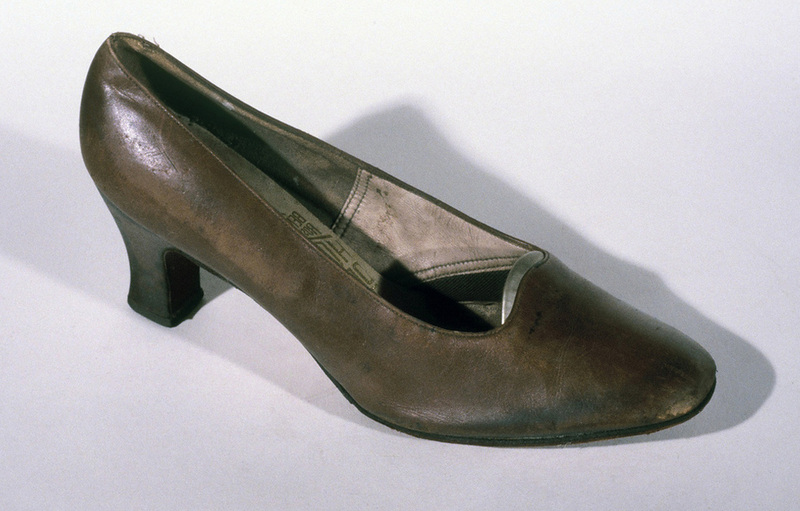 Her first pair of shoes had been sent to a foundry to be transformed into bronze book ends. 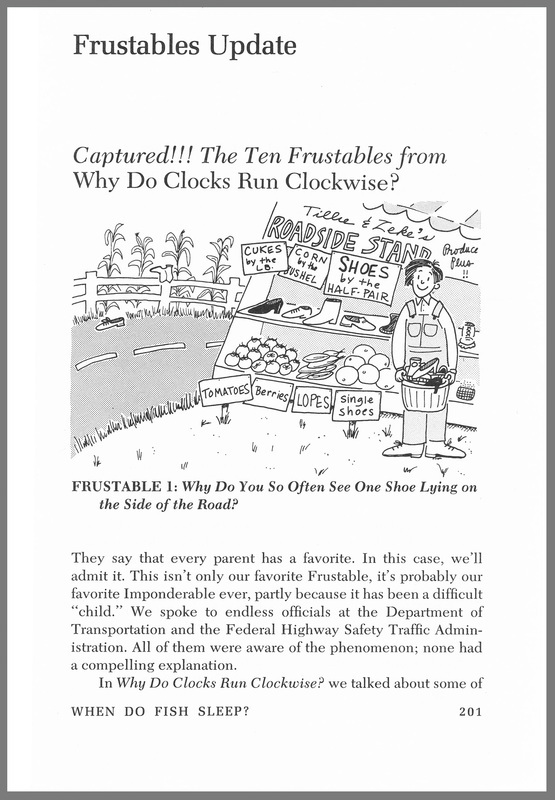 The parents noticed that the shoes hanging from the mirror cut down on visibility from the already tiny windshield, obscuring a good part of the road especially when negotiating right hand turns. After about a week, however, they got used to the white, scuffed shoes bouncing around, and accepted them as another fixture in the car. The other parent agreed to give it a try, so they rolled down the windows. Papers in the back seat became airborne and were sucked out the windows. 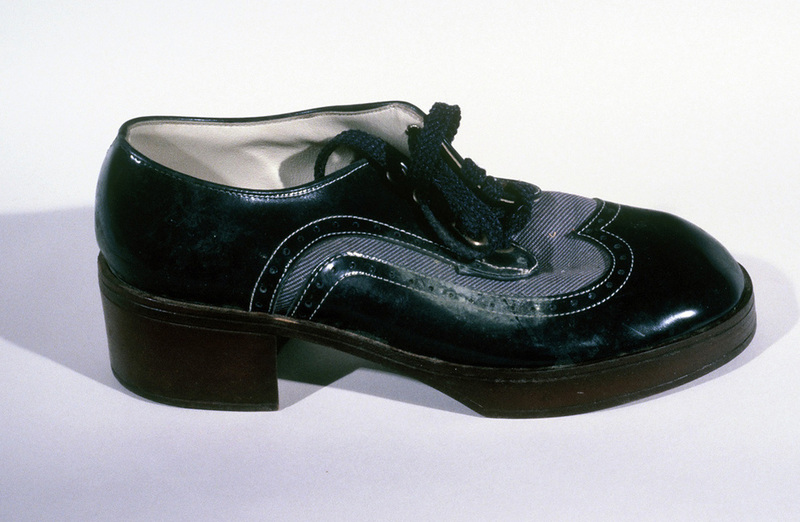 The baby shoes hit violently against one another, the soles making little tapping noises. 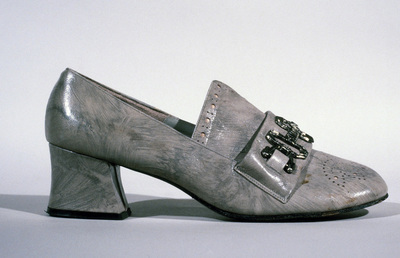 The shoes tugged at their laces -- tied in a bow instead of in a double knot, as they would have been on baby’s feet. Within a moment, the bow worked its way loose, one shoe fell to the floor, while the other grazed the driver’s nose and flew out the window. 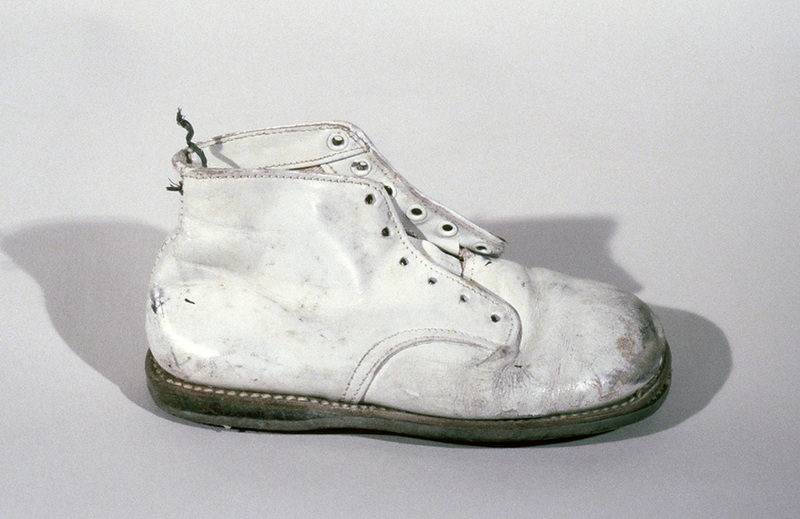 The white, scuffed shoe rolled over and over in the wind and finally came to rest on the highway. Stella hadn’t gone out at night in years, because the neighborhood had gotten so bad that she was afraid to leave the house. Besides, she was fearful of returning and discovering that her cherished color TV was missing. For that reason, Stella always left a ten dollar bill on the table in the foyer, because the table was the first thing she always looked at when she entered the house. And if the money was missing, she would know something was wrong. Henry didn’t like going out at night either because two years earlier a robber disguised in a knitted ski hood was stealing wallets from pedestrians on evening strolls on their street. Even though Henry was not victimized, the incidents implanted an indelible fear in his psyche. It was their 50th wedding anniversary and their church group was honoring Stella and Henry with a spaghetti dinner. They weren’t about to give in to their fears and turn down such a generous offer, so with the money their children sent to them for their anniversary, Henry and Stella went to a near-by K-Mart and bought an install-it-yourself alarm system, a timer to turn the light switch on and off periodically, and a new pair of dressy shoes for Stella. Stella had a thing for shoes, and would always buy a new pair for any special occasion. Henry frowned on such extravagance but went along with it because it was their special day. Stella and Henry arrived at the church, relatively confident about their newly alarmed house. But Stella’s feet were already beginning to ache because she had stuffed her pudgy feet into shoes that were too narrow and too strappy. Her little toes hung over the edges of the soles, and her heels bulged over the slim heels of the shoes. The church dining hall was darkened in anticipation of the arriving guests of honor. Henry and Stella shuffled along in the dark toward the hall, forgetting that there was a step down at the entrance. When the floor went out from under Stella, she came down hard on her right shoe and snapped the heel completely off. The lights came on, and the greeting, “Surprise” echoed throughout the hall. Stella tried to feign good spirits, but the incident set the mood for the entire evening. Sitting in a metal folding chair, she endured the dinner in stocking feet that barely touched the floor, hidden by the white table cloth. The circulation in her legs compromised, her feet began to swell. Henry and Stella made their excuses and left the party early, and on the way home, Stella threw the useless right shoe out the car window and onto the highway.